For any dealer to survive in today's world, they must implement comprehensive and efficient, long-term online marketing strategies. Proper SEO is one of the most fundamental and necessary marketing practices in the digital marketing landscape today. Car dealers are looking for cost-effective SEO methodologies to get them to appear in the first 5 positions in the Google search engine for any number of keywords, else sacrifice attracting thousands of high-quality leads due to lack of visibility. The first 5 positions in Google search get the vast majority of clicks. Second page dealer search results attract very little click though traffic. From website development and management, to social media strategies, Automotive Leads can manage your entire online marketing platform to help maximize visibility, increase market share, and boost profits. Being invisible is a bad marketing strategy. Automotive Leads SEO solution is a comprehensive and “best practices” Google approach to getting our dealer clients established on the first page of search for specific, inventory and event specific keywords. That process is something that's impossible for many businesses to achieve on their own. Our marketing SEO experts have the skills, knowledge, and experience necessary to help increase your business' visibility, increase brand awareness, and expand it's market reach. SEO is extremely complicated, multifaceted, and time-consuming to manage properly. With Automotive Leads, business owners can begin focusing on what counts, leave the marketing to those who truly understand how to maximize results, and have the experience and testimonials to prove it. Analyzing data and metrics is key to determining which online marketing strategies are working, which aren't, and which need to be adjusted or expanded as well as which keywords are yielding the highest profit. SEO pros understand these metrics and their implications, making them far better equipped to make meaningful changes that will improve your ROI and drive more traffic to your business' site. 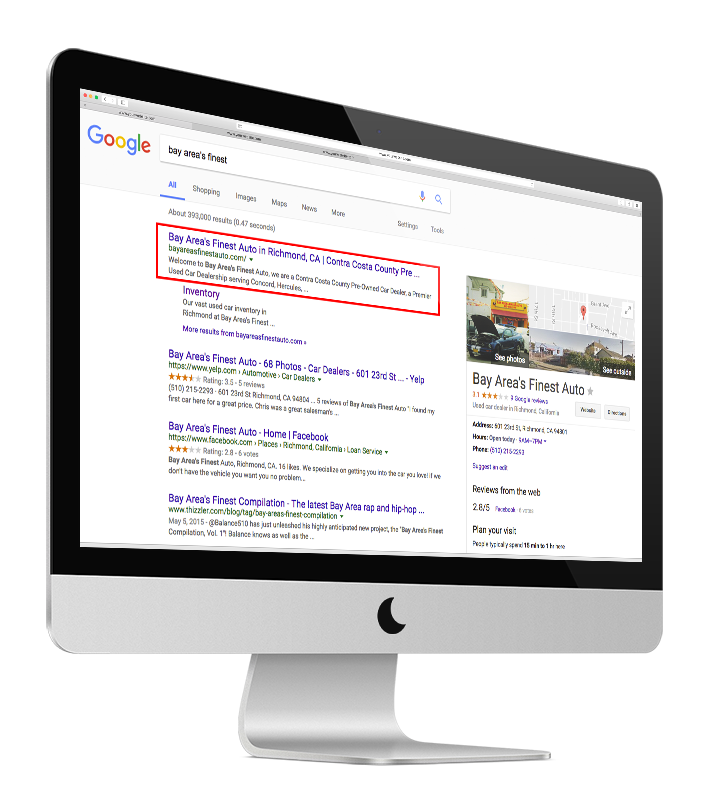 Creating and managing PPC campaigns is a full-time job which few independent dealers devote enough time and attention to. By utilizing professional SEO services companies can begin targeting niche markets, promoting various segments of their business, and significantly expanding their consumer base. With the help of SEO by pros businesses can find profitable keywords with high ROI and make more efficient use of marketing dollars, improve SERP rankings, and increase online exposure-- all of which benefits their bottom line. For any dealer to survive in today's world, they must implement comprehensive and efficient online marketing strategies. SEO has become one of the most fundamental marketing aspects in the current digital world, and as such more and more businesses are looking for SEO by pros. With so many elements involved and so much at stake, it is no wonder why SEO by pros is becoming increasingly popular. From website development and management to social media involvement SEO pros can manage your entire online marketing platform to help maximize visibility, increase market share, and boost profits. SEO by Pros is comprehensive and continually updated, something that's hard for businesses to attend to on their own. Online marketing specialists can help businesses develop truly efficient and effective SEO that works on multiple levels. From PPC campaigns intended to generate traffic via promotional offers to keyword research and list development SEO experts have the skills, knowledge, and experience necessary to help increase your business' visibility, increase brand awareness, and expand market reach. SEO is extremely complicated, multifaceted, and time-consuming to manage properly. With SEO by Pros, business owners can begin focusing on what counts and leave the marketing to those who truly understand how to maximize results. Increasing online exposure means creating well-optimized websites that are developed with SEO in mind. Proper coding and tagging; keyword enriched titles; easy to navigate layout; information rich content; social media integration; and backlinks are all vital in establishing strong SEO. Experienced, skilled, and knowledgeable SEO experts understand how these various components work - collectively and independently – allowing them to create more efficient and effective SEO and PPC strategies. Businesses that invest in SEO by pros, therefore, experience greater online exposure and achieve far greater online marketing success. Social media has become one of the largest determining factors of site rank over the past several years. With more consumers utilizing these channels than ever before reaching prospective buyers through social media has become increasingly important. Whether it be responding to consumer complaints, promoting offers, or merely building relationships, social media is a great outlet for businesses to connect with current and prospective customers. When links are shared via social media site rank is significantly affected. More inbound links mean higher SERP ranking, making it well worth a business' time to encourage customers and prospective buyers to share your site's information via social media. The more social media involvement a business has, the better their SERP rankings become and the more online exposure they receive, making social media one of the most cost-effective marketing tools available to businesses today. The key to gaining inbound links is content creation. Informative, engaging, well-written, and meaningful content results in higher customer satisfaction, lower bounce rates, and more shares. Good content is key to SERP rank as search engine robots are constantly working to improve the user experience and therefore rank sites with good, keyword rich, updated content higher than those without. Constantly updating your website's content can be extremely difficult, as can writing engaging and share-worthy information. With SEO by pros, businesses can reap the benefits of fresh, well-written content that helps maximize sharing potential and improve site rank. SEO is more than the sum of its parts, and its success is dependent upon the effective integration of its various components. Business websites must be linked to their social media pages; keywords must be incorporated in site content, microsite campaigns must mirror branding efforts, and so forth. Without a cumulative approach to online marketing, businesses cannot experience true success. By employing a team of learned professionals to expand constantly, adjust, develop, and manage their online marketing efforts, dealers can experience higher sales while saving themselves time and hassle. Creating dozens of microsites, monitoring review sites, managing social media pages, updating and maintaining websites, and retargeting search users and site visitors takes significant time, experience, skill, and effort but can significantly improve a business' online presence, SERP rankings, and sales numbers. With SEO by pros, all of this and more can be achieved in a cost-efficient and highly effective manner, making the use of professional SEO experts well worth your time and investment. Search Engine Optimization (SEO) for used car dealers is a unique niche of digital marketing. Not only are websites expected to translate into real-world conversions, thereby providing a high return on investment (ROI), but their content, keywords and structure must be of high enough quality to rank high on search engine searches. The challenge is the competitive nature of the car industry: the plethora of car dealers and makes, combined with the fickle character of the economy, combine to make the automotive industry cutthroat to navigate. By taking a closer look at how different makes do their SEO provides insight into how to crack this market.